**UPDATE-A memorial service will be held at Carlisle Funeral Home on Sunday, October 14, 2018, at 3:00pm. The family will receive friends following the service. 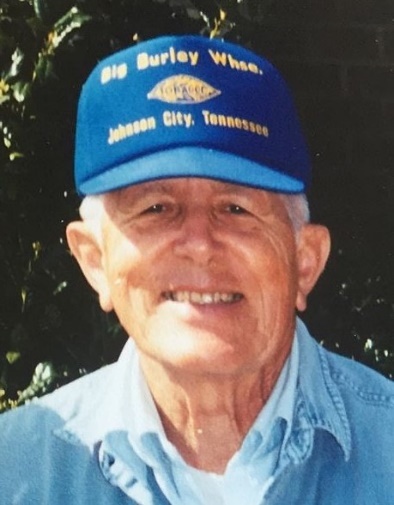 On Sunday, September 9, 2018, Samuel Gray Keel, husband, father, grandfather, great-grandfather, and brother, went to be with Jesus at the age of 87 years. He is survived by his children, Gregory, LuAnne, and Daniel; his sister, Becky Hutchins; 15 grandchildren; and 2 great-grandchildren. He was the son of Howard Staton Keel and Rachel Barwick Keel. He was pre-deceased by his wife, Anne Whitehurst Keel and his oldest son Howard Gray Keel. He was born at the Keel Homeplace just a few miles north of Bethel in Edgecombe County, but spent the majority of his life in Bethel. The last few years were in Tarboro. In his early years, he attended and graduated from Bethel High School. After high school, he attended NC State University briefly and then enlisted in the Army National Guard. He served his country for 2 years of active duty years. Later he worked with US Postal Service as a rural letter carrier until retirement. He also worked on the family farms. He served his community with energy and enthusiasm. He served for about 35+ years as a Bethel Volunteer Fireman and as an emergency medical technician (EMT) with the Bethel Volunteer Rescue Squad. He served for a number of years on the local school board and even chaired the board. He served many years as a delegate to the State and National Rural Letter Carrier Conventions. He was eventually elected as President of the State organization and served for a year in that capacity. He was an excellent example to all with his volunteer spirit. In lieu of flowers, the family is asking that donations be made to the Bethel United Methodist Church. Put Sam Keel in the memo. The collected funds will be donated to Kehilat HaCarmel (Carmel Congregation), a Messianic Jewish congregation in Haifa, Israel, led by Daniel and LuAnne Keel Sayag (Sam’s daughter). Donations may be sent to: Bethel United Methodist Church, P.O. Box 207, Bethel, NC 27812.